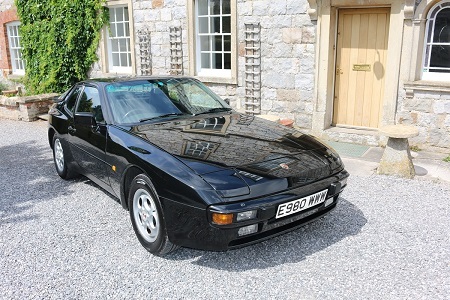 1988 PORSCHE 944 COUPE,Automatic.Just 65k miles,FSH,serviced every 3k miles! 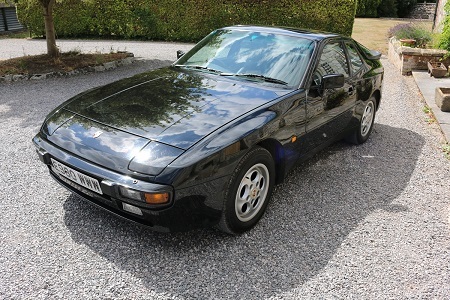 Lovely 1988 Porsche 944 Coupe,automatic,with what could be considered a very low mileage for a 944,of just 65k miles and just 5 previous owners.Accompanying this is a fully stamped service book. 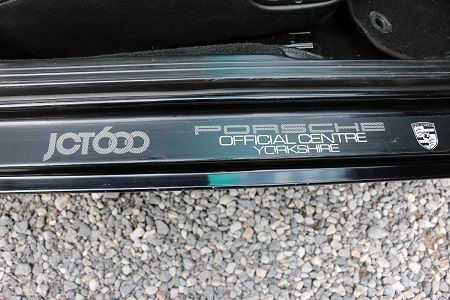 Black (shwartz) coachwork and black pinstripe interior,it is a very nice,corrosion free example,with none of the usual rust issues to the sills,as associated with the 944.The floorpan is very clean,corrosion free and with no signs of previous welding work.It's getting harder to find 944's like this,these days. 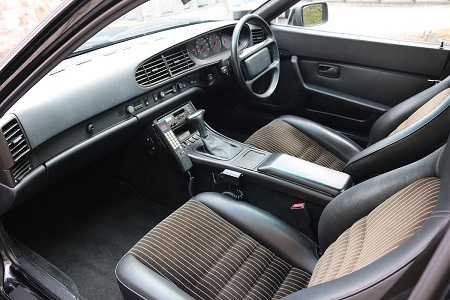 The interior is immaculate and the car comes with a fully documented service history and it's a car that drives very nicely indeed. 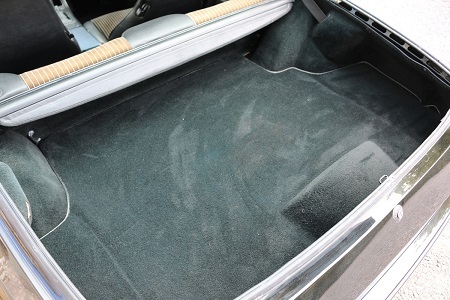 This clearly demonstrates the level of care and maintenance taken on the car,with services being carried out,on average every 3k miles. 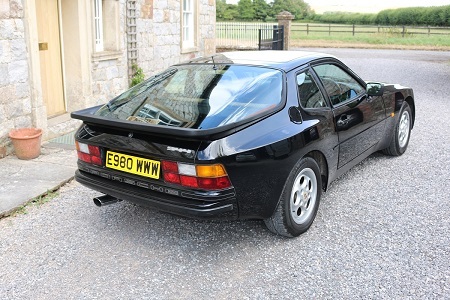 On the road the Porsche is a pleasure to drive.The gearbox has a smooth change and the ride is tight and rattle free.The engine pulls well,quietly and smoothly,the brakes pull the car up smoothly and evenly.It drives just as you'd hope a well maintained 944 should. Cambelt renewed,just 3k miles ago,it starts on the button,cold or hot,shows excellent oil pressure and water temp readings,all the electrics work (excluding tailgate release button),the tilt sunroof,windows and mirrors,rear window wiper,heater blower etc,all operate as they should. 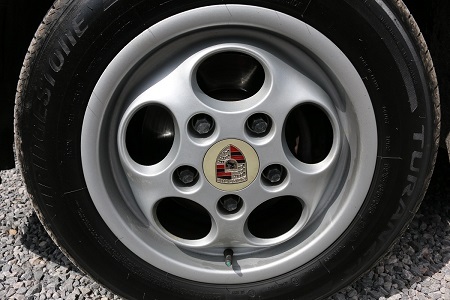 The alloys are in,as new condition and it sits on a good set of quality brand tyres,Bridgestone on the front & Pirelli on the rear,all with plenty of life left.The exhaust is also in good condition. 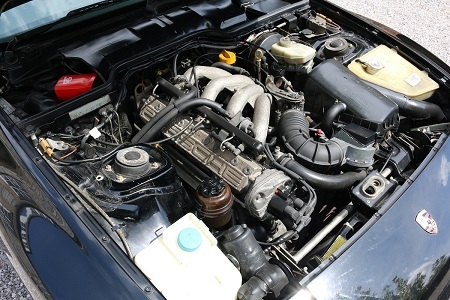 Essentially this is a car ready to jump in and use (which I currently am).There are a few minor cosmetic marks as you'd expect from a 1988 car,that could be improved if you wished,but they are honest marks and in no way detract from it's appearance as it presents very well,with a good shine to the paintwork. 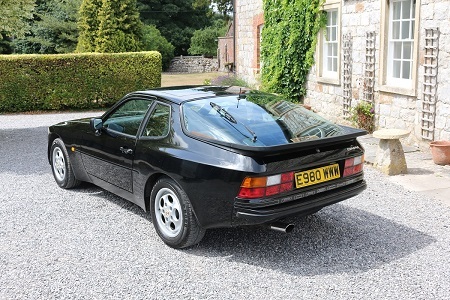 I always enjoy using new stock over the period of a week or three.Driving this 944 has been a very enjoyable experience.Test drives are more than welcome. 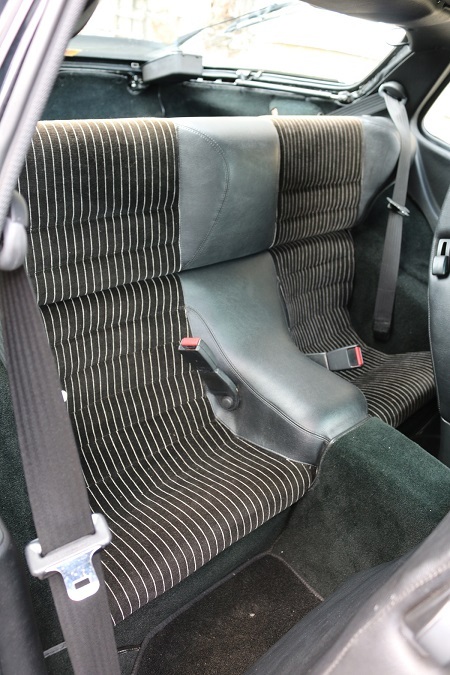 The history file has the original Porsche wallet,with all the handbooks and a fully stamped service book.There is an invoice for brake work and a cambelt change,around 3k miles ago. 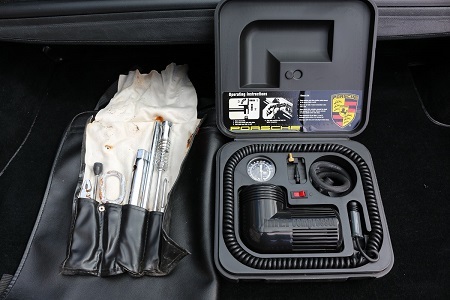 It retains it's original bag for the sunroof panel,and also still has the original tool kit and spare tyre pump kit (unused!). To top this,it has a classic,1980's period,NEC,brick telephone still fitted.Not in operational use,it still looks fantastic however and should you be reminiscing about your previous 1980's life,or just be in love with the decade,then here's the opportunity to live/re-live your Yuppy dreams?!! Whether you love or loathed the decade,it's a great piece of period nostalgia. 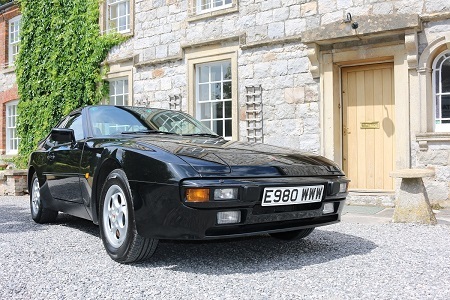 Overall this is a great 944 in very nice condition and ready to use & enjoy.Any professional inspection is welcome and we have ramp facilities,if required.Viewings can be arranged for any reasonable day and time and overseas interest is also welcome. The car will be supplied with 12 months mot.